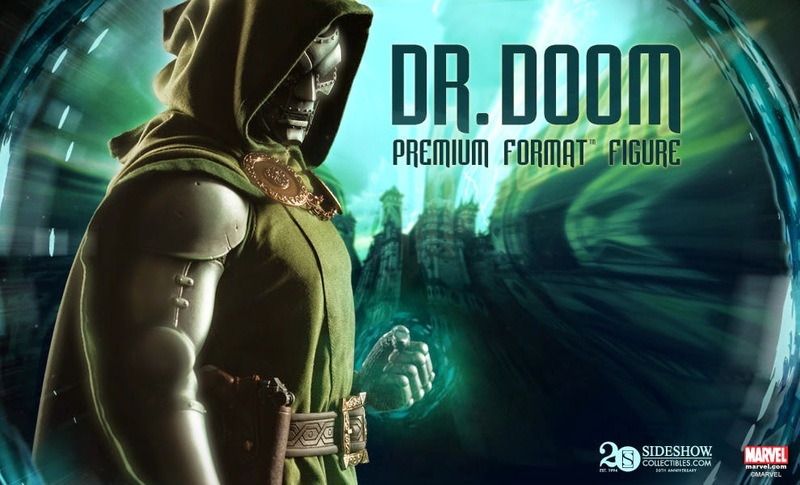 SideShow Collectibles made a lot of high end Marvel Collectors happy tonight when they announced their second 1/4 Dr. Doom Premium Format Figure. The first one they did is considered the grail of all Side Show Premium Formats, originally sold for around $350 that collectible now sales for close to $2200. See Side Show Freaks it's always better to wait than over pay on Evil Bay, all good things come to those who wait! Expect this one to retail for close to $425, the figure will be fully reveled and up for pre-order June 26th. Thanks to the Side Show FB Page for the Scoop!